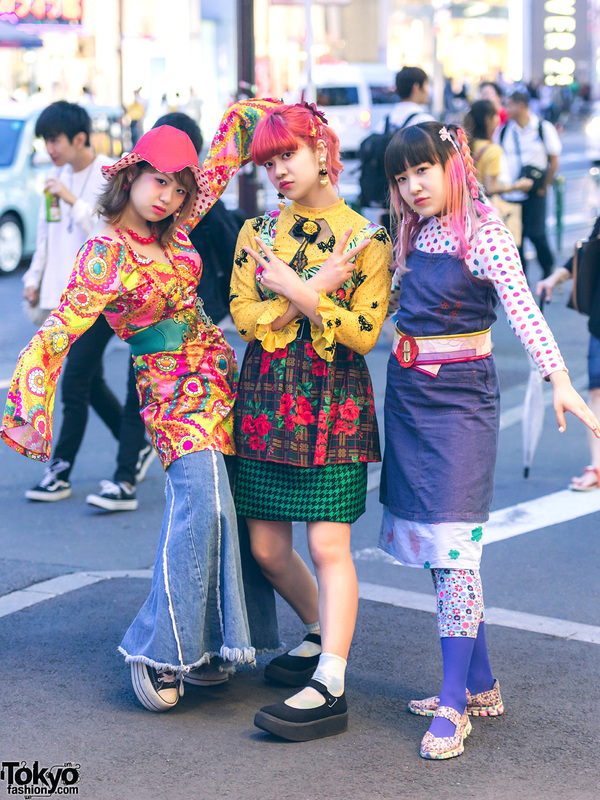 Japanese student with colorful street style in Harajuku. 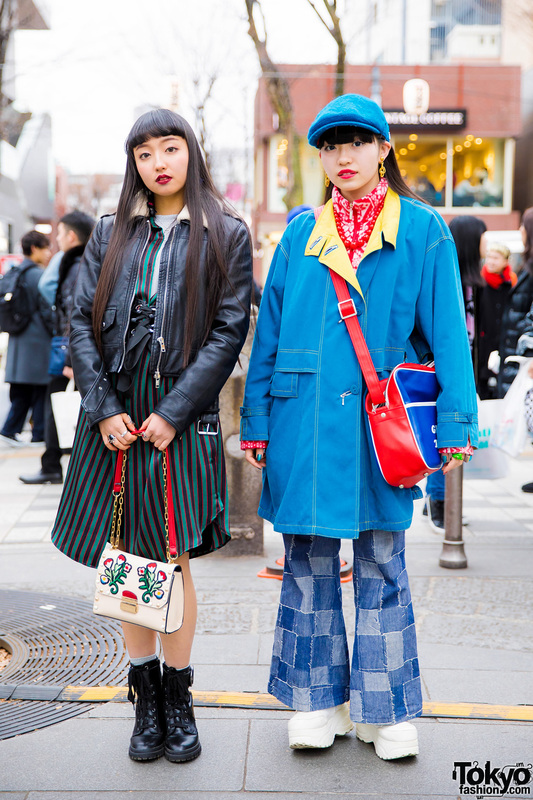 Harajuku girls in winter retro street styles with leather jacket, bell bottom jeans, and platforms. 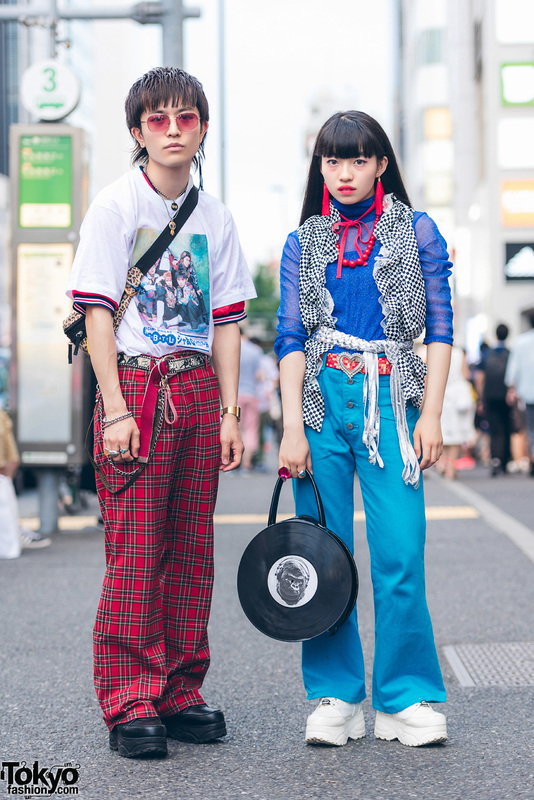 Harajuku duo in eclectic street styles wearing layered shirts, plaid pants, platform sneakers, zebra print belt bag, checkered shawl over sheer top, flare jeans, and a vinyl record handbag. 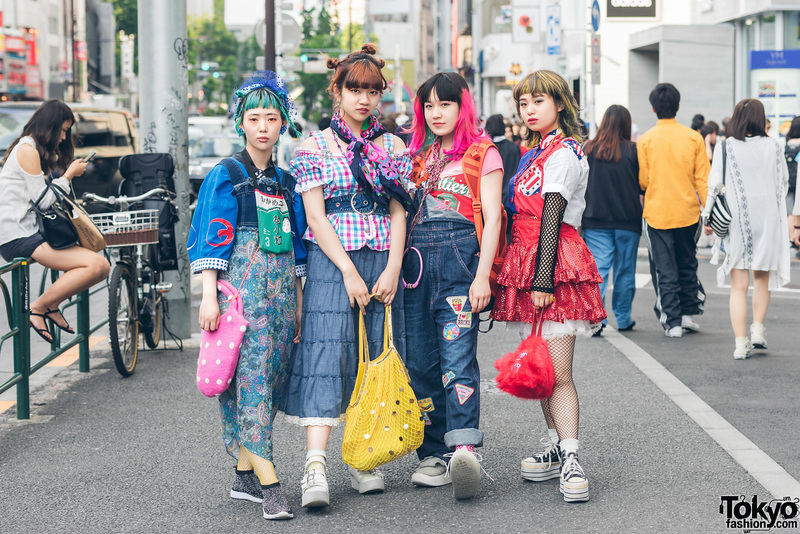 Harajuku girls in colorful street style looks with paisley print jumper dress, denim skirt with checkered blouse, denim overalls, handmade shirt, ruffle skirt, platform shoes and sandals, and colorful accessories.